What are center caps for? They are typically circular caps that snap into the center of a wheel. 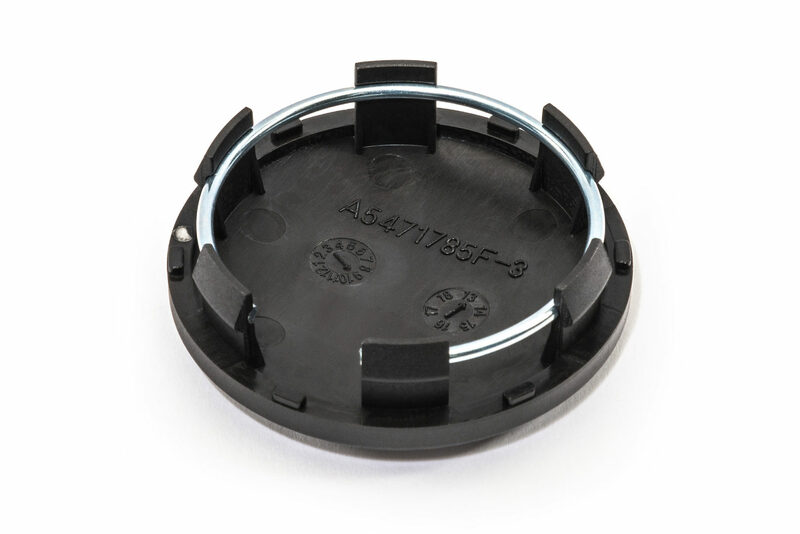 Mostly decorative, the cap can also help protect the wheel bearing and spindle from dirt. The center cap can also be designed to hide the lug nuts of the wheel. One of the more common designs can be seen below. 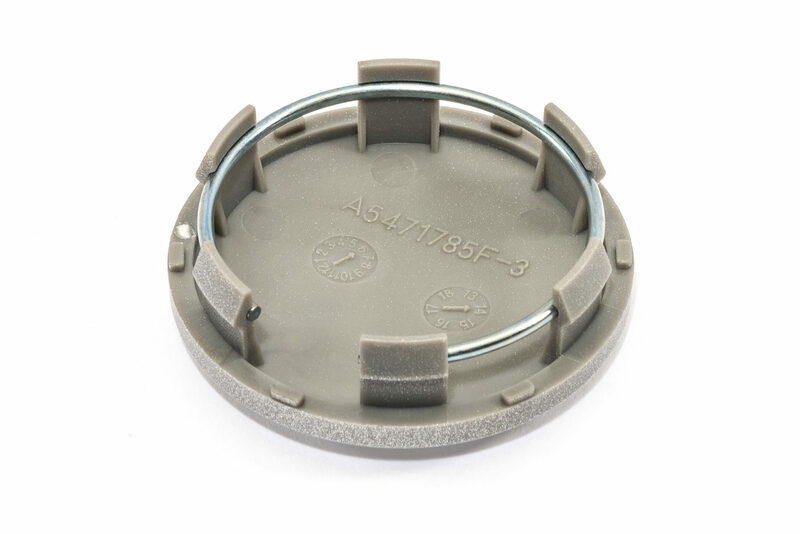 Behind the center cap, there are plastic clips held apart concentrically with a circular tension rod. This tension system helps secure the cap to the wheel. 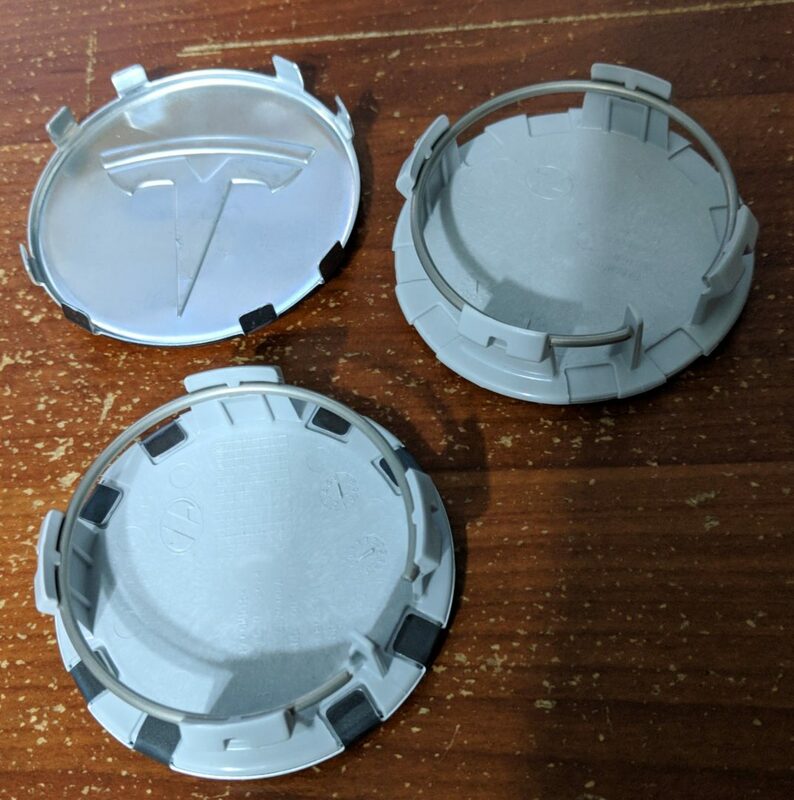 Even the Tesla Model 3 incorporates this basic design into their wheel center caps. 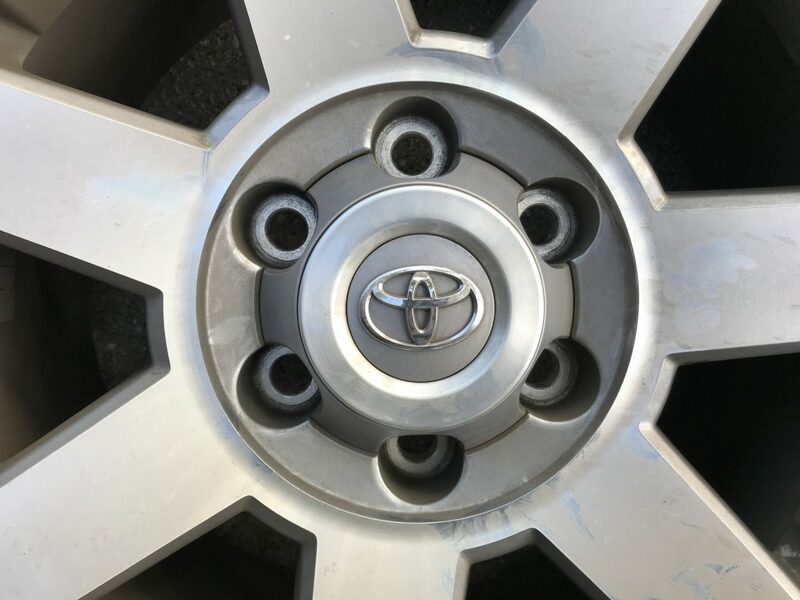 There are also other designs, such as the one on the center cap of a 5th generation Toyota 4Runner (below). 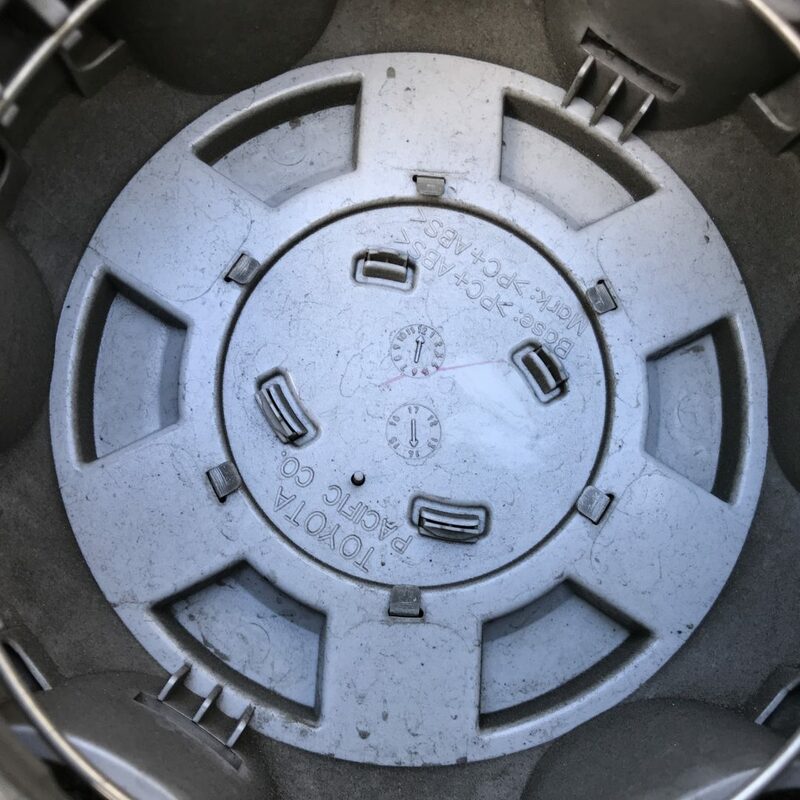 In this case, there are little metal clips that need to be folded in to hold the center cap to the wheel. This one doesn’t utilize a tension clip and as a result, will be more likely to rattle as vibrations of the vehicle work it loose. The main ingredient in resolving rattling noise coming from loose center caps is silicone caulking. Any type of silicone caulking will work. Do not use acrylic caulking as this material will not hold up to the movement and vibrations that will be experienced. Most caulking will require the need for a caulking gun. You can also purchase caulking that comes in squeeze tubes which although do not require a caulking gun, may end up costing more money. The great thing about silicone caulking is its ability to mold and flow to fit the empty spaces between the components that hold the center cap to the wheel. After drying, the silicone does an excellent job of securely holding the center cap to the wheel. As an added bonus, it also dampens vibrations that may cause rattling. The silicone adheres to surfaces very well, in fact it may be quite difficult to scrape off silicone caulking due to this very reason. However, if you ever want to remove the center cap after the silicone has set up, just firmly tap the center cap out from behind the wheel and will pop out. The best fix here is to apply silicone caulking to backside of the center cap. The silicone caulking should be applied to the plastic clips, then the center cap can be pushed back into the wheel. The surfaces of the plastic clips should be initially be prepped by cleaning off any dust and dirt. No need to go overboard on the silicone, just enough for coverage over the plastic clips. Once it is pushed back into place, the silicone fills the voids and sets up incredibly firm. On center caps that utilize folding tabs, the fix is similar to the one above. In this case, the surfaces that need to be prepped are the tabs. Silicone caulking can then be applied to the tabs and then center cap inserted in the wheel. The silicone caulking will fill the space between the tabs and the small slots that they are inserted through. Then, the tabs can be folded inwards. Additional silicone caulking can be squeezed onto the tabs at this point as further security that the center cap will stay put. 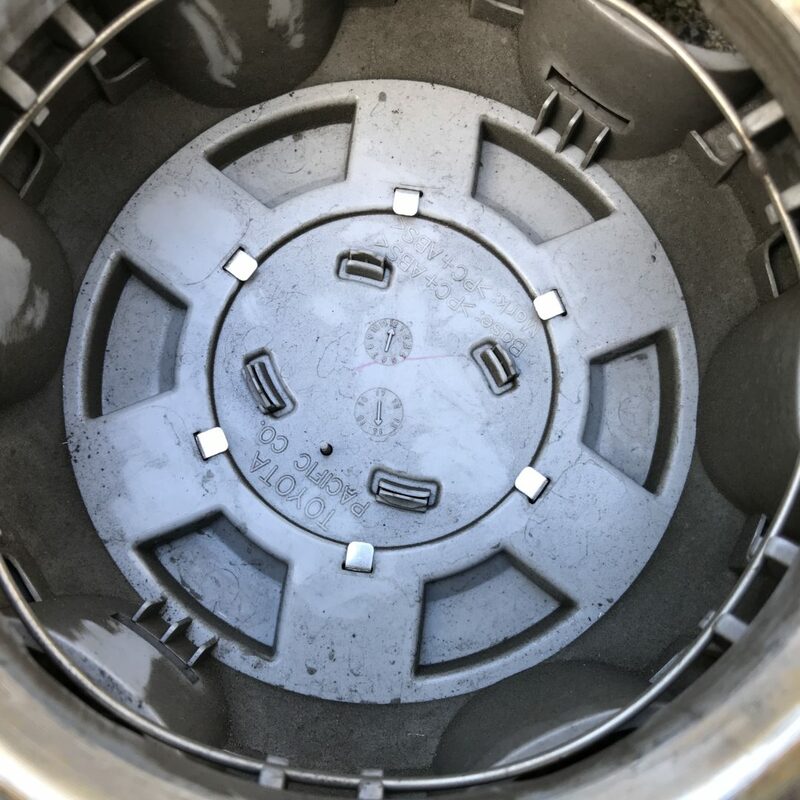 It’s also possible to fold the tabs inwards without the use of silicone caulking (as seen here), but it is likely that vibrations over time will eventually loosen these tabs and reintroduce center cap rattle. Is it Worth Getting Tire Road Hazard Protection?